“The final line is spoken, the audience applauds, the actors take their bows. But at an increasing number of theaters, the night isn’t over. Audiences often settle back into their seats. It’s time for the talkback, a chance to discuss the play with the actors, the director or sometimes the playwright. 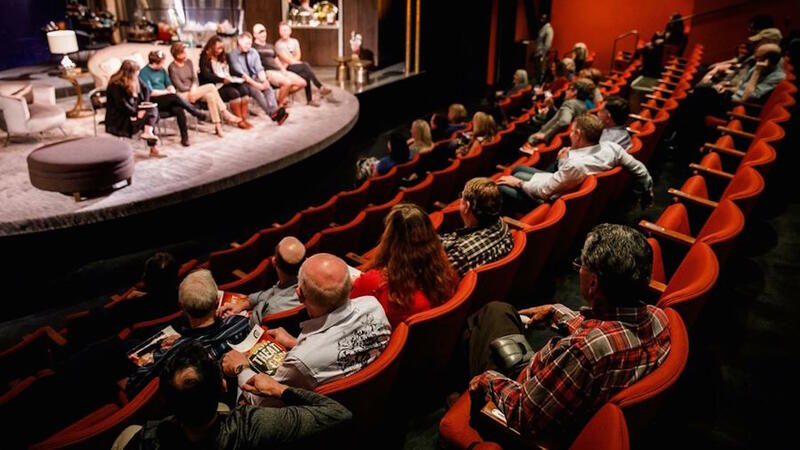 For theaters, the talkback can connect the venue to its audience, deepen understanding of the work and make the audience feel more like a participant and not merely an observer. Skeptics, however, fear that talkbacks can oversimplify the art onstage or discourage personal interpretation — the stage equivalent of didactic wall text telling museum visitors what to think about a painting. David Mamet, the Pulitzer Prize-winning playwright of “Glengarry Glen Ross,” decreed in July that talkbacks within two hours of a performance of his work were forbidden. As first reported by the Guardian, the license to stage a Mamet play now states that violators could lose the performance rights and be fined $25,000 per talkback. Read more perspectives on post-show discussions in Stuart Miller’s report for the Los Angeles Times.